The Utah Vital Records Office, a division of the State’s Department of Health, is responsible for storing Utah Divorce Records. You can also access the records in the Utah County Court where the divorce was filed. The Utah Courts page helps in locating divorce cases of each court. When you want to find territorial divorce records, it is important that researchers know the approximate time frame and date during which the divorce took place. Not many of the records are indexed by name which can make the process very time consuming. 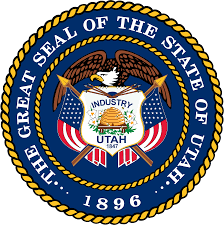 In Utah, between the years 1852 and 1887, 2 separate courts had jurisdiction over divorce proceedings. There was the Probate Court for every county and the District County. Since there were no residency requirements before 1878, couples could file for divorce anywhere within Utah. The unfortunate part is that in Utah, only a few records have been name indexed over time. For this, you can consult the agency which was contacted for the divorce proceedings when you are searching for divorce documents. The case file series usually provides large amounts of information about the divorce proceedings. Requests for copies must be filed at the district courts. Many of the county courts have made special arrangements to preserve divorce documents and other public records which are older than 50 years in the State Archives. The entire records list of divorces is available from the District Court and the County Clerk’s Office. Searches requested from the state office charge a fee of $16. If you want to order additional copies, you will be charged a further $8 per copy. You can download the form for ordering a certified copy of the divorce decree here. Seeking divorce records for Fern Mary Sorensen and Floyd Walser. After 4/1/1932 and before 8/25/1933. Since these are old Utah divorce records we don’t have them in our Utah vital record database. Typically our resources for Utah divorce records goes back 50 years. That being said, you can also reach out to the Utah courthouse that processed the divorce or contact the Utah state archives for Utah divorce record research.